When purchasing web hosting you’d be forgiven for thinking that the higher the bandwidth that they offer for the cheapest price, the better the deal. In fact there are lots more things that you should look out for, and this article will explain in detail what you need to avoid. Web hosting is an investment, with many plans lasting at least a year if you want the very best deal; you don’t want to be handcuffed to a bad deal for a year. Even if you are paying for your service, if you go with a company that offers free hosting you are likely to find you don’t have their full attention. The servers from such companies are likely to be oversold, meaning that they don’t have enough power or resources to fulfill their obligations which will result in you having slower page rendering times and load speeds. While this isn’t true of all web hosts that offer free hosting, a good rule of thumb is to avoid them wherever possible. A lot of web hosting companies know that their users aren’t going to be multinational conglomerates, and therefore are unlikely to have a legal team behind them. Check the detail of your agreement very closely, especially if there are free services advertised – you may well find that a service that you assumed was free for the duration of your host is only free for three months. While you might not want to scroll through what seems like an endless document, you will thank yourself in the end. Never commit yourself to a plan without having read the terms and conditions of your agreement thoroughly. Websites that exist purely online, such as web hosts, are the prime target for scammers because they know that you are unlikely to recognize their methods. If you are asked to provide credit card details with the purpose of verifying your identity, close the web page and find another host. The reason they often ask for these details before you confirm your agreement is so that they can charge you additional fees that you weren’t expecting, such as a start-up cost or a server migration fee. Remember: it’s always best to use something like PayPal or Google Wallet to pay for any services if you can to keep your money safe and in your hands. Just as you might browse the Amazon feedback of an item or an eBay seller’s rating, you should consider the feedback of a web hosting company before committing yourself to their services. Browse their website name by searching Google and seeing what people have said about them. The positive reviews are much less important than the negative ones – while people may just hold a grudge or be from rival companies, the positive reviews are likely to be written by the company themselves to negate the negative reviews. Take everything you read with a pinch of salt, but if you find lots of negative reviews it’s a good sign to move away and find another host. Even hosts that don’t offer free hosting can be guilty of overselling their hosting space. If you find that you have unlimited bandwidth even for the basic package, it’s a good sign that you are going to be sharing a server with potentially hundreds of other websites that have the same deal. A server can never have unlimited bandwidth, and so if you are stuck with a website that is very resource-intensive, you will find that your website speeds are much slower. While it’s not always possible for smaller and newer websites to afford a dedicated hosting plan, look for a host that has a reasonable bandwidth allocation before you sign up. Be very, very suspicious of web hosts that emailed you without any prior contact on your part. If you were emailed a special offer, you have to consider where they got your details from, and why they targeted you without knowing that you had a website in need of hosting. Email marketing nowadays is a sign of a company that is desperate; you don’t want a web host that is desperate, and so it’s a good idea to steer clear of ones that use email marketing. 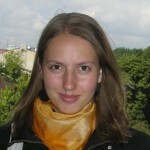 Kate Funk is a freelance writer at http://getanycontent.com. She is mainly focusing on technology, gadgets and all the latest trends which are interesting for networking enthusiasts. She likes sharing her knowledge with people. When she’s not coaching individuals in SEO and business networking skills you her contributing to different sites and blogs or travelling abroad in search of new impressions and friends.